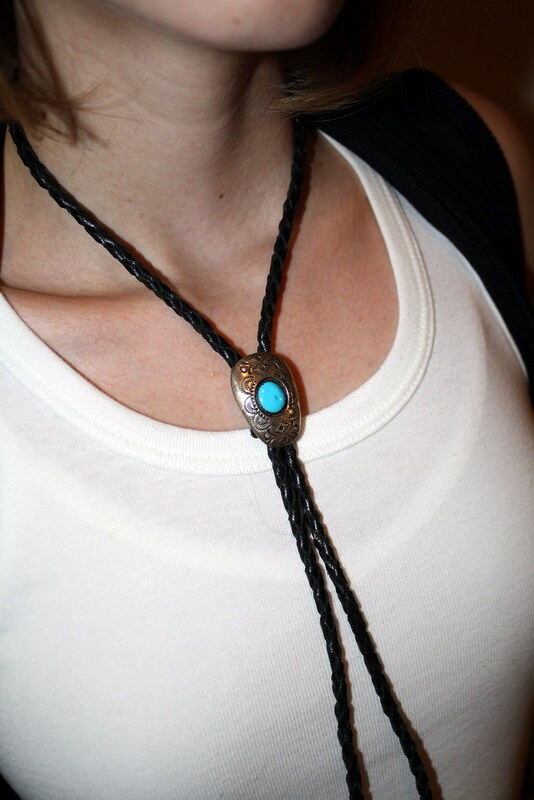 I think B should just go ahead and give me this bolo tie since I love it so much. I like how you paired an indian lanyard with this look. Those shoes are to die for! would u like to swap links? Perfection, love all the matching colours! I love this outfit! Love the shoes too!!! amazing outfit! love love love the shoes and the bolo tie, my mom has one just like it that i love to play around with. really nice black and white outfit. the shoes are glamorous. you look awesome! those black/white pumps are great! SUPER CHIC!!! I love the vest, it’s such a great, versatile piece! Love..love the legging and the shoes very much! your shoes are rad! and so is that bolo tie! 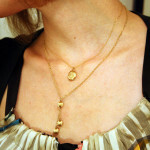 Love the monochrome theme and the necklace is lovely – your friend should definately give it to you! And yes the airport ring is so pretty – that picture doesn’t do it justice it’s one of my favourite accessories! You find a lot of really cute leggings from the costume department. Love the look! i love the f21 vest! i can see it being soo versatile! awesome photos….those shoes are sooooooo fab!!! Thanks for the comment! I love those graffittied black pumps too! You and your outfit are perfect! !